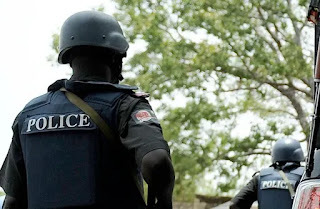 The police in Enugu State have launched a manhunt for one Onyenwe Offor Ajah, who allegedly hacked his son to death in an Enugu community. Police spokesman, Ebere Amaraizu, said in a statement on Wednesday that the incident occurred on March 28 at Ameke Enu village in Oduma Community of Aninri Local Government Area of the state. The superintendent of police, said the son whom he allegedly killed after a disagreement, had been identified as Kenneth Ajah, 38. He said the suspect had a misunderstanding over some yet-to-be established issues with his son, which started at Orie Oduma Market. “The son, however, became unconscious and was rushed to a nearby hospital and was later confirmed dead by a doctor on duty”, he said. Amaraizu said the deceased’s body had been deposited at Awgu District General Hospital Mortuary, while a manhunt for the fleeing suspect had been intensified.